So I made chocolate peanut butter cupcakes the next day. Chocolate cake with satiny smooth (and not too sweet) peanut butter swiss meringue buttercream, and the leftover chocolate frosting on top of that. 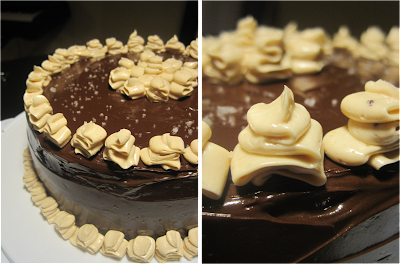 Oh yeah, I doubled the frosting! But then.... I had leftover peanut butter buttercream! Too little to really freeze and save for another cake, but too much that I felt bad rinsing it down the drain (it was so delicious!). 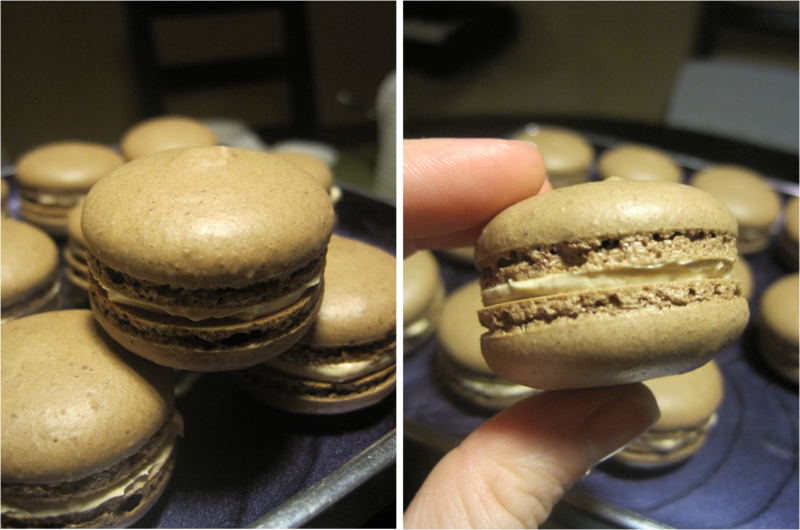 So this weekend I made chocolate peanut butter macarons.